The Mi Duole Cycling Team was established in 1984 and is one of the longest established road cycling clubs in Utah. 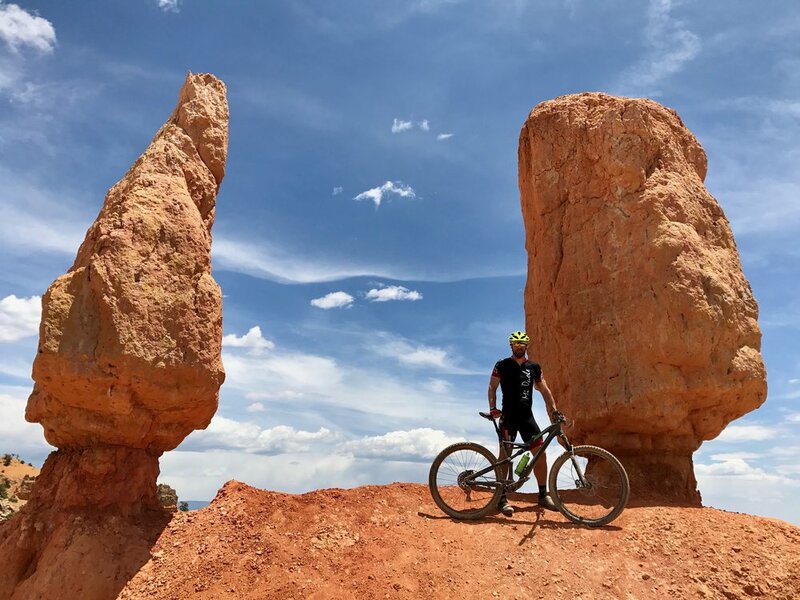 Team members are mainly rooted on the east bench of Salt Lake City, and most team rides take place in one of the four canyons connected to the valley: Emigration Canyon, Mill Creek Canyon, Big Cottonwood Canyon and Little Cottonwood Canyon. The team name is “Mi Duole”, which translates from Italian to mean “I ache” or “I’m suffering.” The name has molded the team’s culture over the years as it takes pride in epic training rides consisting of most or all the major climbs around the Salt Lake Valley. Mi Duole Cycling is committed to developing the sport of cycling and cultivating a positive lifestyle. Each year we organize several cycling events in the community and also support a variety of charities. The purposes of the Mi Duole Cycling are to provide a consistent group of skilled riding partners and camaraderie for long weekend rides and mid-week training; to provide opportunities to race and / or participate in organized rides as a team; to share wisdom and experience to riders of all abilities; and to train and push each rider to become better while having fun. LOTOJA continues to be a huge part of what makes Mi Duole who we are. Many founding members of the team have participated in 20+ LOTOJA events. In 2018 the team had over 25 members race the event with many placing in the top 10 of their categories.